This feature is available only if it has been enabled by your course provider. 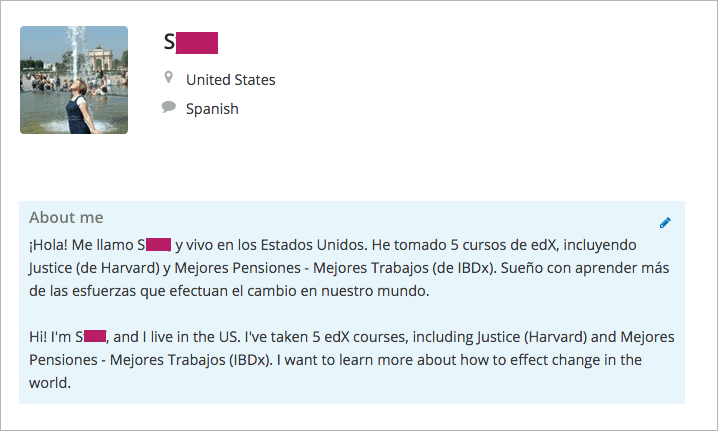 Your personal profile allows you to specify information about yourself that you want to share with other participants in the courses that you take. Adding a profile is optional. 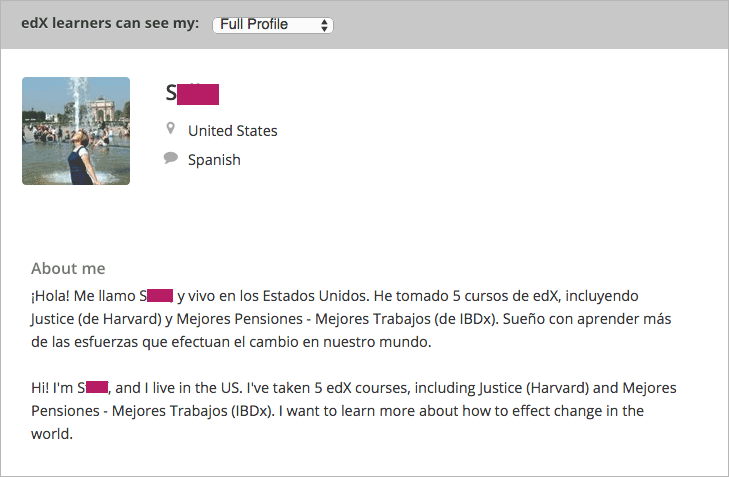 If you add profile information, course teams and other learners in your courses can view the information that you share. In addition to your username, your profile can include a picture, your location, and other biographical information. profile. 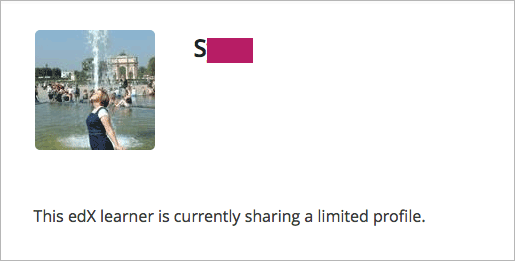 You cannot share a profile picture. 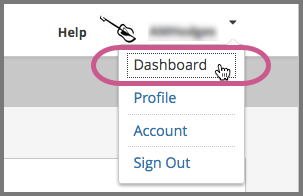 On your profile page, locate learners can see my, and then select Limited Profile. An image that you select to identify yourself. Locate learners can see my, and then select Full Profile.